l-r: Zhongyi Zuo, Marc Laroussini, Ashley Figueira, Matalin Collins, Samantha Richardson, Rosie Flanagan. WXXI's Beth Adams talks to director and writer Talya Chalef. 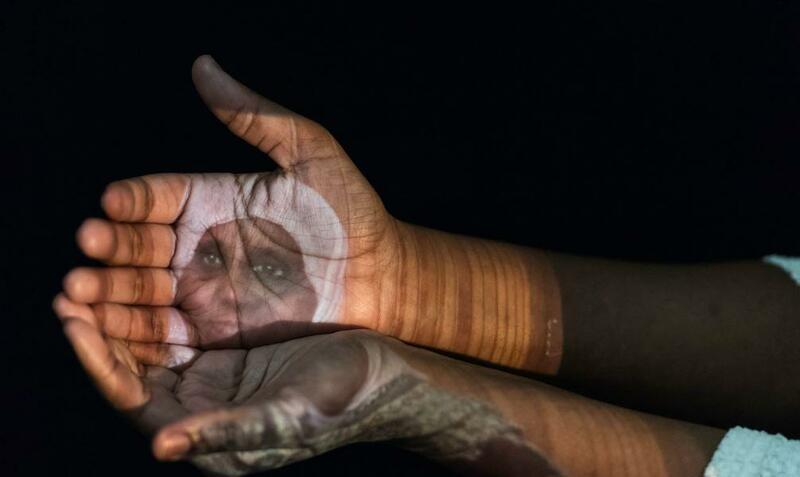 Samantha Richardson with projection of Sadiya Omar, a Somalian refugee. 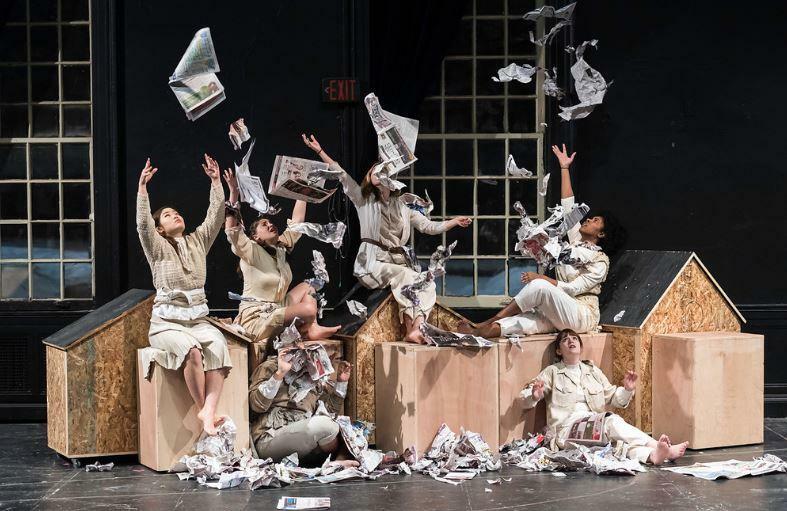 The history of immigration in Rochester and its refugees is the theme of a theatrical piece that debuts tonight as part of the University of Rochester's International Theater Program. Australian-South African director, writer, and theater artist Talya Chalef co-created the piece with an ensemble of UR students. 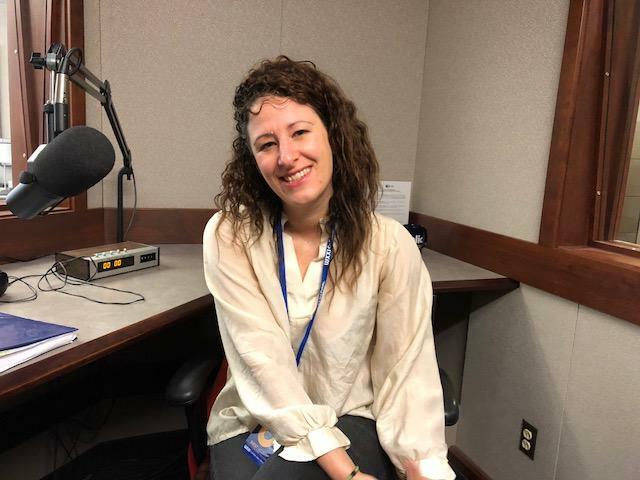 Click on the LISTEN link above to hear Talya about her research in the city of Rochester's archives as she gathered material for the play called "We Don't Live on Mars Yet." The premiere is tonight at 7 at the Todd Theater at the University of Rochester's River Campus. It runs through March 10.